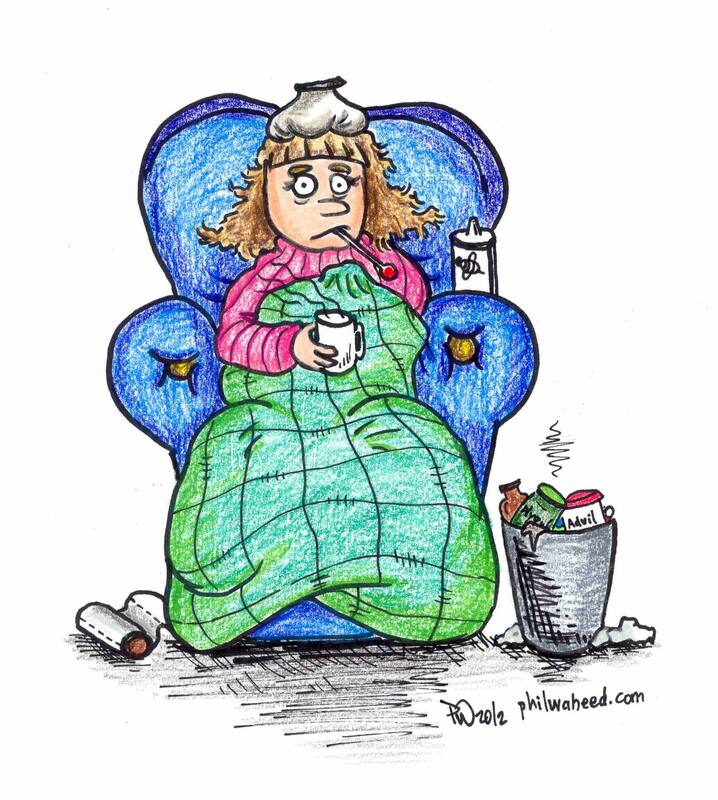 Some of the most common and inescapable symptoms one gets when down with a cold or flu include coughing, sneezing, sore throat, itching, body ache and fatigue, fever and good old nasal congestion. The fact of the matter is, once a virus is caught the only thing that is sure to eliminate it is time. However, there are many ways in which a person can prevent and relieve irritating symptoms. Commercial ads for big medicine companies such as Nyquil, Robitussin and Advil publicize the idea that just one pill or dose will make a person look and feel completely back to normal. However, medicines don’t always do the trick. More and more people today are looking to natural remedies such as herbs when relieving themselves of cold and flu symptoms as opposed to popping pills every couple of hours. “Herbs help us feel better because they treat the symptoms as well as the root of the problem, unlike many pharmaceuticals which mask the symptoms,” said Monica Giacomin, a herbalist and native skills professor at Marianopolis College. “Using herbs as preventative medicine is an even better solution for maintaining optimum health and energy long-term,” she said. Some tonic herbs she suggests to try when sick are burdock, garlic, stinging nettle, holy basil, medicinal mushrooms, and seaweed. For those constantly on the go even through sickness, try a cup of tea instead of a morning coffee. Available at David’s Tea, Cold 911 (without caffeine) and Gail’s Cold Remedy (with caffeine) have mint and are said to release pressure in the nose and soothe the throat. Once you’ve had your tea for the day and are on your way home, check out some recommended at-home remedies. Take a hot steam shower. Not only does the hot water feel good, it relieves symptoms of chest congestion and the steam opens your airways, allowing you to breathe easier. A Neti Pot literally flushes the nose of mucus, bacteria and viruses using a saline solution. Here’s what you have to do to make your own nasal spray at home. Boil eight ounces of water and then allow the water to cool to room temperature. Pour the water into a sterilized jar or Neti Pot. Add 1 / 4 teaspoon of salt and 1 / 2 teaspoon of baking soda to the water and you’re ready to go. You can also try sucking on some Zinc Lozenges. Just like vitamins, they can be consumed after a meal and are said to boost the immune system’s virus-fighting power. Lastly, try a spoonful of honey or lemon in your tea. It’s a classic for a reason. It tastes great and is said to help relieve coughing. So, next time you think to grab a bottle of something from the medicine cabinet, try some of these natural remedies instead. You might be better off!